Happy Wednesday, Bookworms! And Happy Last Day of February as well!! Can you believe the month went by so quickly?? 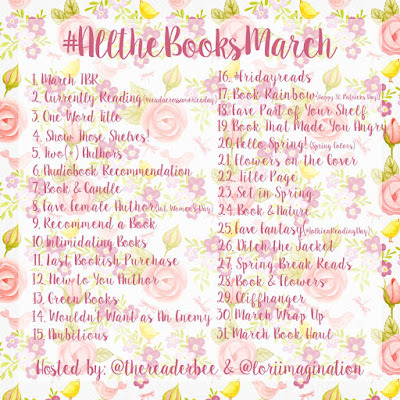 It was a pretty great month for books, but I'm totally reading to move on to March and the new books it holds for me as well! 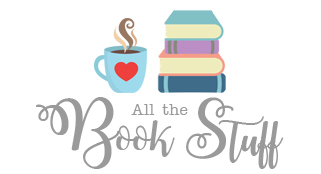 Here are what I books I read and added to my collection this month! and I now have a whole second set of the series! 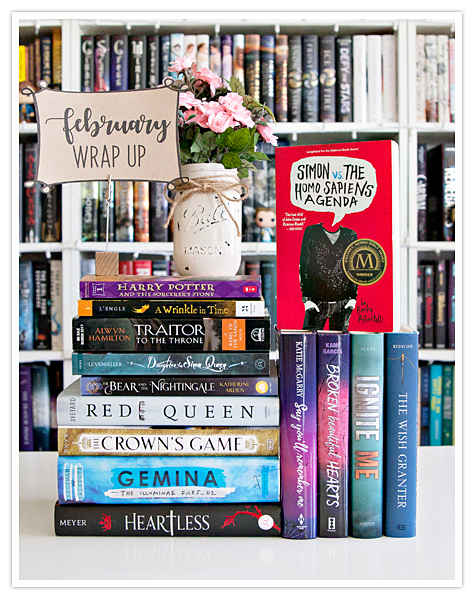 If you can tell, February was a great month for books! and all of the funky vintage cameras that I started collecting as well! which is pretty awesome, and I hope I keep that mojo going for next month! That's about all of me this month!! 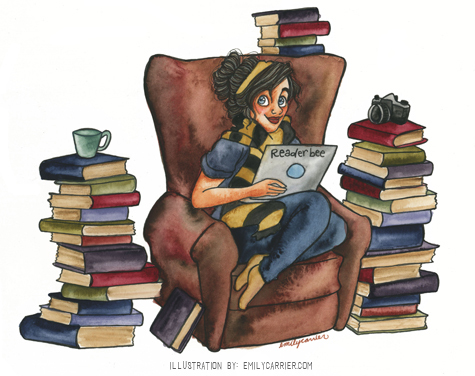 How many books did you read and add to your collection this month?? 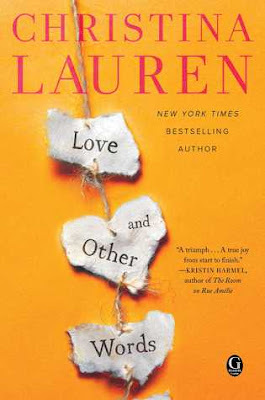 My first WOW pick week is Love and Other Words by Christina Lauren! I've actually had a review copy of this book for a while now, and I absolutely can't wait to get started on it. All the books I've read by these ladies I've enjoyed, and I'm hoping that I will this one as well! 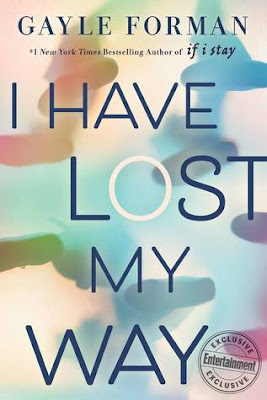 My second WOW pick this week is the new Gayle Forman. Why, you may ask, am I waiting on this book? Well, it's Gayle Forman, and she has yet to disappoint. I'm super excited to read this one as well! That's all for me this week! Happy Tuesday, Bookworms!! 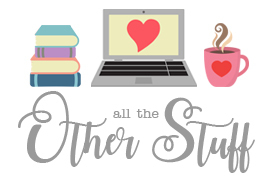 I'm super excited about today's Top Ten Tuesday post, as I could totally go on and on about all the books I could re-read and why. I can't believe I used to not be a re-reader, but I started re-reading book series I wanted to finish last year, and completely fell in love! 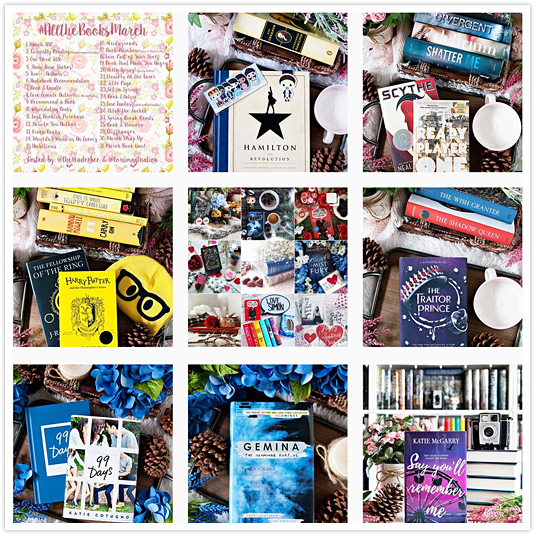 Listed below are just a few books I could totally re-read forever! All of them I've either already re-read this year, or plan to re-read again soon! 2. 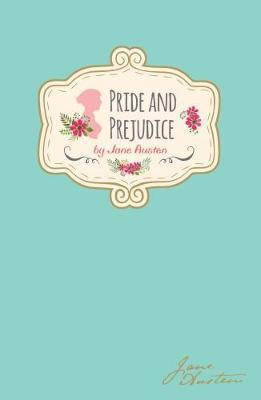 Pride and Prejudice by Jane Austen - I also decided to re-read this this book every year, as it is one of my most favorite reads ever, and I could re-read this book forever and ever and EVER!! 3. 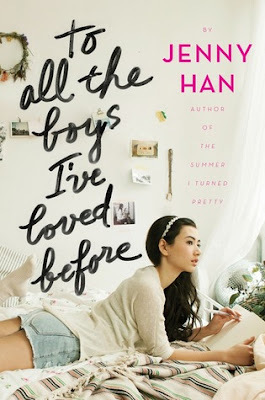 To All The Boys I've Loved Before by Jenny Han - I re-read the first two books in this series last year, to prep myself for reading Always and Forever, Lara Jean, and I absolutely loved re-reading it. I may have to do a yearly re-read of this series as well! 4. 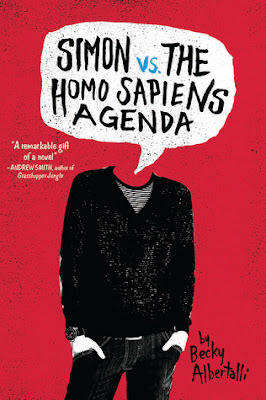 Simon vs the Homo Sapiens Agenda by Becky Albertalli - Oh! I read this book for the second time just last month, and why have I not read this book more?!! 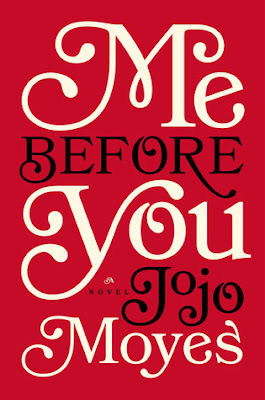 I loved it so much, I could definitely re-reading it over and over again! 5. A Darker Shade of Magic by V.E. 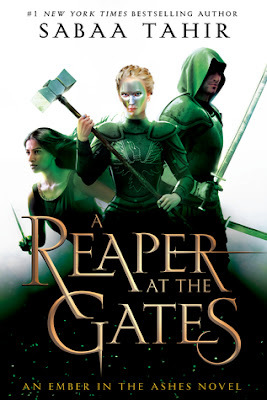 Schwab - I've only read this book once, but I'm definitely thinking I am going to re-read it again soon, especially since I need to re-read the series! 6. 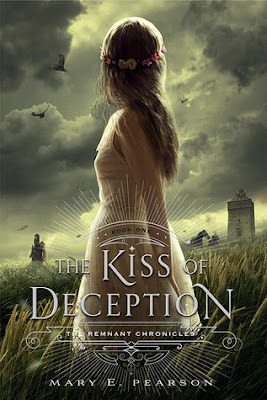 The Kiss of Deception by Mary E. Pearson - I absolutely love this series, but, believe it or not, I haven't re-read it yet! I definitely plan to this year, especially with the spin-off series coming out later this year. I can't wait to re-read it! 7. 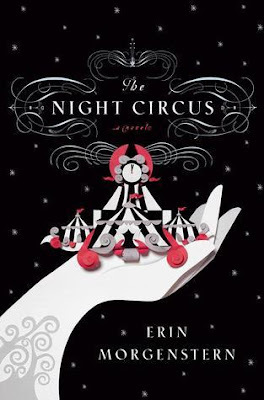 The Night Circus by Erin Morgenstern - I read this book for the first time last year, but it's definitely a book that I can re-read over and over again! 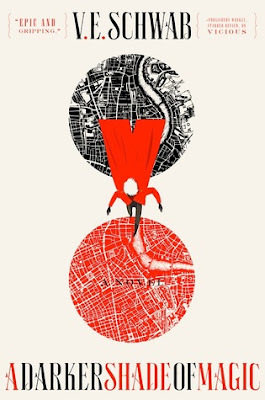 The story was so magical and engrossing, and I completely need to dive into it again asap! 8. 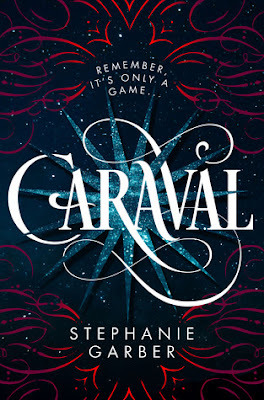 Caraval by Stephanie Garber - I'm planning my re-read of Caraval soon, and I'm so excited to read it again! I'm absolutely fascinated with stories set at the carnival and circus, and unfortunately I do not have enough books like that in my collection, so I'm just going to re-read this and The Night Circus over and over again! 10. 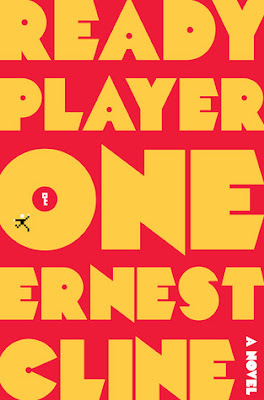 Ready Player One by Ernest Cline - I read this book for the first time last month, and LOVED the story! I will definitely be re-reading it again ASAP! 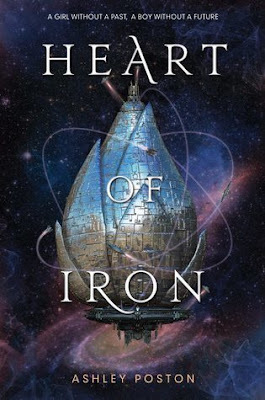 I have to admit, the first thing that drew me to Heart of Iron by Ashley Poston was that completely gorgeous cover. (I can't resist a pretty cover!) BUt it wasn't just the cover that drew me to the book, the story sounded really awesome as well, and I couldn't wait to check it out. Let me get this started by saying that the storyline for the book was really interesting, even if it was a little predictable. I figured out which direction the story was going to go earlier on in the book, but it was still entertaining. The ending did take a different turn than I was expecting, so that was nice as well. I love the whole space pirates/royal kingdom theme that the story had going on. I can seriously never have too many pirate books on my TBR, regardless of if they're out on the sea, or even in space. I really enjoyed those parts of the book the most! There are a lot of interesting characters in the book, and the story is narrated to us by four of those characters. You'd think this would get confusing after a while, but it didn't, and I really enjoyed reading the story from the different viewpoints. I always feel like you get so much more information when a story is done this way, and I love it. As I mentioned, all the characters were interesting, and it's hard to choose a favorite among them. Overall, Heart of Iron was a really interesting read, and I'm pretty curious to see where the story will go next. 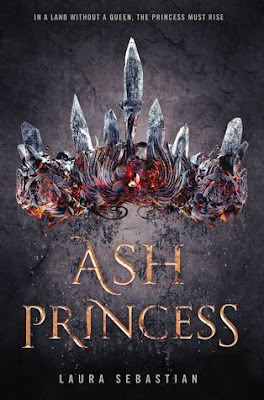 I'm assuming that this is the first book in what will be a series, especially after that pretty massive cliffhanger ending, but I have yet to find any information confirming this. I will definitely be keeping my eye out for information on the next book. This week was not the best reading week for me, and I'm really not sure why. 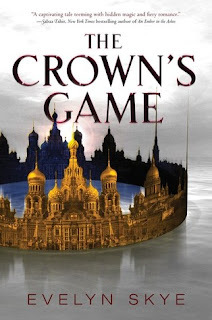 *shrug* I did manage to read two new-to-me books, the first being The Crown's Game by Evelyn Skye. 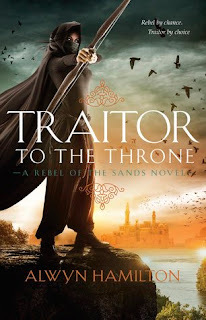 I listened to the audio for this book, which is narrated by Steve West, who I LOOOOOVE, and I'm really looking forward to reading The Crown's Fate now. 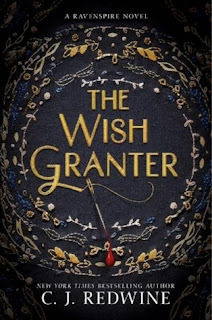 The second new-to-me book I read this week was The Wish Granter by C.J. Redwine. I've been meaning to read this book for FOREVER, but now that the third book in the series has been released, I figured I'd better get started on this one. 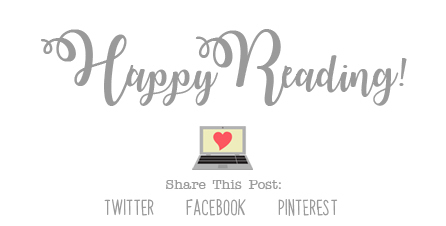 It was an interesting Rumpelstiltskin retelling, and I'm hoping to have my thoughts for the book up on the blog this week! I did not watch any movies this week, unfortunately, but I did watch a few episodes of Timeless! 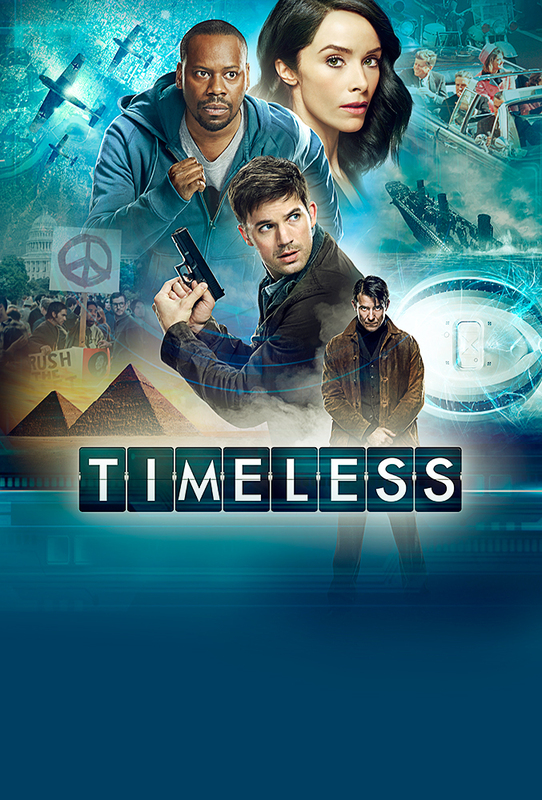 I love this show, and I'm determined to get caught up before season 2 premieres! 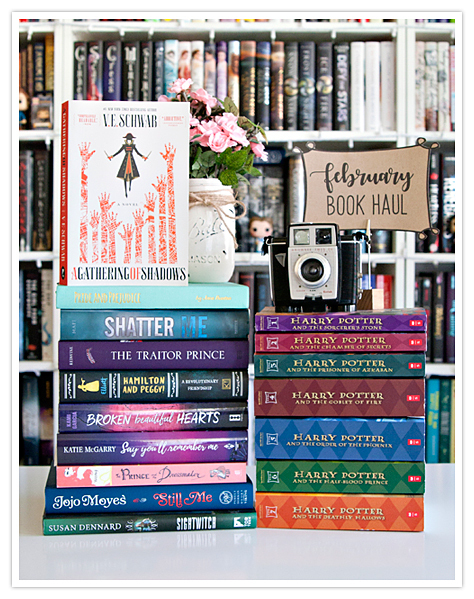 the March Book Challenge hosted by Lori (@loriimagination) and I! It's going to be a lot of fun, so if you're thinking about joining us, you totally should!! This past week has been so weird. I feel like I didn't accomplish much, but I have no idea what I did all week. *cackle* Don't you hate it when that happens?? Ok, that's about all for me this week! How was your week?? 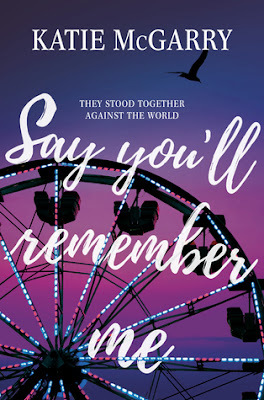 I have to admit, it has been way too long since I've read a new book by Katie McGarry, (even though I currently have THREE of her books sitting unread on my shelf), but I just couldn’t resist reading her newest book, Say You'll Remember Me, the moment it landed in my mailbox. I've read Katie’s Pushing the Limits series a few years back, as well as the first book in the Thunder Road series, all of which I loved, so I knew this one would be great as well. And it was!! Can I start off by saying that I’m a sucker for a good contemporary novel? It’s my favorite genre, and one of the reasons why I’m such a big fan of Katie’s books. 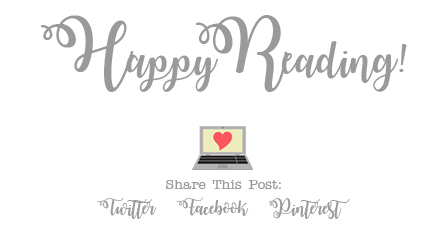 Don’t get me wrong, I love almost all genres of books, but there’s just something about a good contemporary that always gets me, especially when it’s a love story. (I love those stories the most!) I expected this book to have the typical bad-boy-turned-good storyline, but there was really so much more to it than that. I appreciate how relatable it was, and a lot of things in the story, unfortunately, are actually happening in the real world right now. It was very realistic. Another thing I really like about the story was the characters. Elle was a bit of a pushover in the beginning of the story, but I enjoyed watching her character grow into a much more confident person over the course of the book. It was, however, Drix that completely stole the story. Convicted for a crime that he didn’t commit, serving time and having that on his record, and having no one believe him… that was heartbreaking. And worse is, this actually happens. I don’t want to give too much of the story away, so read if for yourself to learn Drix and Elle’s story. It’s really sweet, and impactful as well. Overall; I really enjoyed reading Say You'll Remember Me, and I'm so glad to have finally read something new by Katie. Now I need to finish the Thunder Road series soon, which, of course, will start with a re-read of Nowhere But Here, and I may just have to re-read the Pushing the Limits series as well, just because I love that series so much. *wink* If you're a fan of contemporary novels, or just of Katie's novels in general, do check out Say You'll Remember Me! I hope you enjoy it just as much as I did. Admittedly, I am a little behind on this series. I read the first book and really enjoyed it, but haven't yet read the second book, even though I own it as well. I'm hoping to re-read the first book soon so that I can finally read the second book, and then read this one as well! I also have to admit that I'm seriously bummed about the cover changes mid-series. As I mentioned, I have copies of the first two books, and they are the old covers. Bummer! Does my second pick for this week sound really awesome, or what? (Plus that book cover is pretty stunning as well!) I am super curious about this one, and I can't wait to check it out ASAP!! Those are my picks for the week, now it's your turn!! 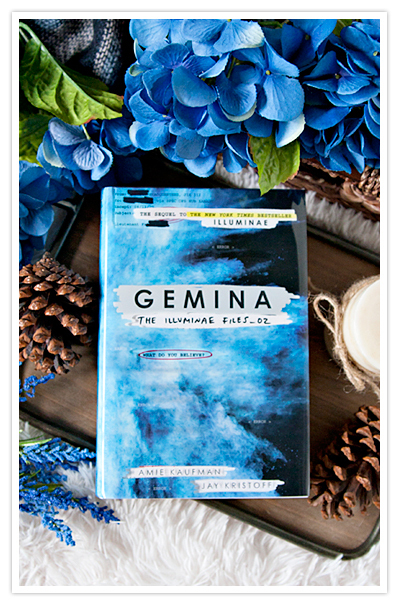 I have been trying to work Gemina onto my reading list ever since it was first released, and now that I have officially read the book, I'm kicking myself for not having read it sooner! Illuminae was such a good book, and I really enjoyed it SO much, and I have no idea why I put off reading this book. 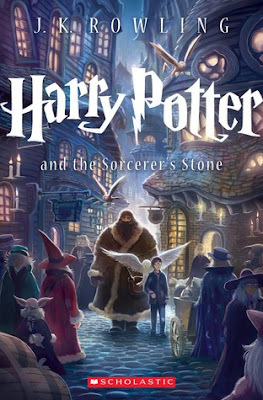 (Yes I do, so many books, so little time...) But, I finally read the book and it was awesome, just like I knew it would be! Before I started reading Gemina, I decided to re-read the first book, Illuminae, so that the story would be fresh in my mind. I've just recently started doing this with book series that I haven't yet finished, and with book series that have new books coming out for them, and it's seriously one of the best decisions I've ever made. I had forgotten so much of the story, (which happens when you read as many books as I do), and the refresher was just what I needed. Not only did I start to remember all the things that I had forgotten, but the re-read also made me super stoked to read Gemina as well, and I couldn't wait to dive into the book. I opted to listen to the audiobook both for my re-read of Illuminae, as well as for Gemina, and this is yet another one of the best decisions I've ever made. I've listened to a LOT of audiobooks lately, and I can honestly say that none I've listened to compare to those for Illuminae and Gemina. Not only do you get a FULL CAST of narrators for this series, all of who are pretty amazing as they read the story to you, but you ALSO get pretty awesome sound effects as well, which work perfectly with this series! (I remember one particular sound effect of a bomb going off just as I had stuck my head in the fridge, and it nearly scared the living daylights out of me. You had to be there, it was really awesome.) If you have the opportunity to check out this series in audio format, I highly recommend you do so! I will definitely be checking out the Obsidio, the third book, in audio as well. Ok, I feel like I'm getting a little ramble-y with this review, so let me get back to the point. 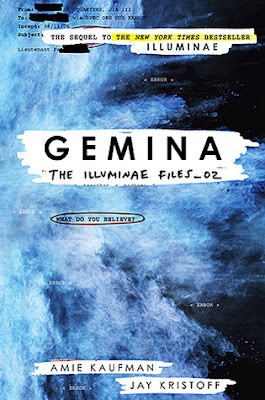 The storyline for Gemina follows much along the same timeline and storyline as Illuminae, just with a completely different cast of characters, though all of which were just as awesome as the characters in book one. Two of the main characters, Hanna and Nik, were both really interesting, but it was Ella that really stole the show. They all have quite the adventure in this book, and while the storyline felt so similar to that in the Illuminae, it also felt completely different as well, (if that makes any sense at all). I really enjoyed the book, and I can't wait to get my hands on Obsidio as soon as it's released!! Overall; if you've made it this far, then you've probably figured out that I really enjoyed Gemina! It's an awesome story with great characters, and if you haven't yet checked out the series, then I highly recommend you add it to your TBR. And if you can get it in audiobook format, then yes, do check it out as soon as you possibly can. It's a great series, and I can't wait to get my hands on Obsidio in March! !